Valencia Shores in Lake Worth, Florida is a gated community that welcomes active adults aged 55 and better. This comfortably sized, resort-style community offers plenty of amenities, community events, and social clubs to keep even the most active residents entertained. Valencia Shores' two clubhouses, The Athletic Club and The Social Club, feature a wide variety of amenities and activities, such as resort-style swimming pools, a state-of-the-art fitness center, tennis, basketball, and racquetball courts, and much more. A full-time activities director is on hand to help residents coordinate activities and events. The 1,143 homes at Valencia Shores make it one of the largest 55+ communities in Palm Beach County. Valencia Shores was the fourth Valencia active adult community by GL Homes. These single-family homes were constructed between 2002 and 2008 and are available in 12 different floor plans. Valencia Shores is nearby downtown Lake Worth, Boynton Beach, Wellington, Boca Raton, and West Palm Beach. With more than 50,000 square feet of recreation space between them, Valencia Shores' two clubhouses provide an abundance of amenities designed to support an active adult lifestyle. Residents can enjoy the amenities at both the Social Club and the Athletic Club. The Social Club provides over 34,000 square feet of space devoted to socializing, entertainment, and club activities. The Shorelines Cafe is open for breakfast and lunch with seating indoors and out. The Grand Ballroom with a raised stage and dance floor is the ideal location for community events and large parties. Active adults can socialize at one of the four card rooms, get creative in the arts and crafts studio or shoot some pool in the billiards room. Residents seeking a quiet place to relax can head over to the library to read a good book or visit the classroom and conference room for some educational enrichment. The Social Club also includes a spectacular outdoor resort-style pool with shade gazebos. There is also a sandy lakeside beach, a putting green, four Har-Tru tennis courts, and a tot lot. The Athletic Club is 17,646 square feet and features a 2,400 square-foot state-of-the-art fitness center with cardiovascular machines and strength-training equipment. A separate aerobics and dance studio is ideal for yoga, tai chi, and other fitness classes. Private massage and therapy rooms are also available for residents to relax after a good workout session. Alternately, active adults can choose to stay in shape by playing handball, squash, or wallyball in one of the two air-conditioned indoor racquetball courts. There are separate spas for men and women that include saunas, steam rooms, and showers. Outdoors, The Athletic Club features a combination resort-style and lap pool, as well as a resistance walking pool. Eight of the community's 12 Har-Tru tennis courts are also found here. In addition, The Athletic Club offers both indoor and outdoor whirlpool spas and a full-service hair and nail salon. With 1,143 homes constructed by GL Homes, Valencia Shores is a comfortably-sized active adult community with spacious single-family homes that are an ideal fit within its resort-style atmosphere. Homes at Valencia Shores range in size from 1,682 to 3,466 square feet and are available in 12 different floor plans. The majority of homes are single-level designs, however one model does have a two-story floor plan. Valencia Shore's homes each have two to four bedrooms, two to four-and-a-half bathrooms, and two to three-car garages. Many homes throughout the community offer popular features such as gourmet kitchens, screened lanais, and covered patios. The Valencia Shores lifestyle is geared for active adults aged 55 and better. With an abundance of amenities spread throughout two spacious clubhouses, there are plenty of activities to choose from and a full-time activities director on staff to help arrange it all. Fitness is a key component of an active adult lifestyle and Valencia Shores offers many ways to stay in shape. To encourage hobbies and an active social life, residents can participate in pilates, book club, yoga, zumba, crafts, watercolor class, water aerobics, cardio blast, ceramics, wine club, women's club, golf, and line dancing, just to name a few. Residents have plenty of options to stay busy and social throughout the year at Valencia Shores. Situated in western Lake Worth, Valencia Shores is conveniently located along the Lyons corridor. This location offers easy access to the turnpike and the fine shopping and dining venues found in nearby Boynton Beach, Wellington, Boca Raton, and West Palm Beach. There are two entrances to Valencia Shores. One is located on the east side of Lyons Road between Boynton Beach Boulevard and Hypoluxo Road, and the other entrance is located on the east side of US-441, also between Boynton Beach Boulevard and Hypoluxo Road. Though Valencia Shores residents are within easy distance of West Palm Beach, downtown Lake Worth also has its own unique charm. Downtown Lake Worth is known for yearly festivals, such as the Street Painting Festival held late in February each year. Downtown Lake Worth also features cultural attractions, including the Lake Worth Playhouse and the Museum of the City of Lake Worth. 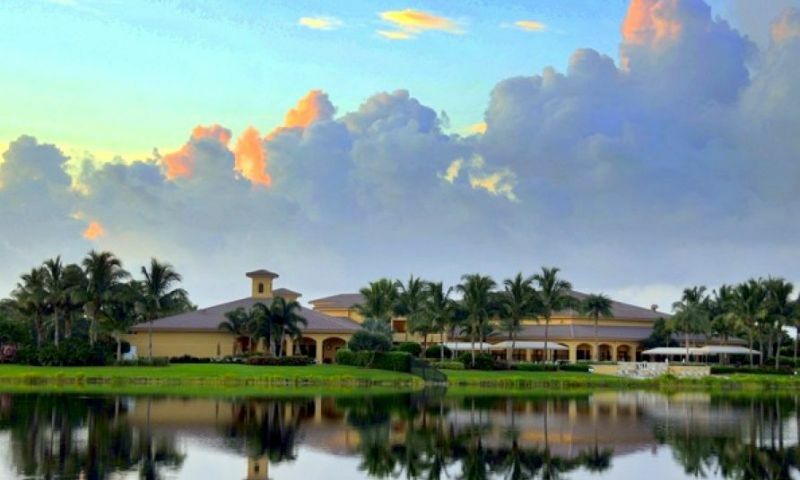 In this resort-style community with its prime location, active adults can feel as though they are on vacation every day at Valencia Shores in Palm Beach County. Social Club - 34,000 Sq. Ft. Athletic Clubhouse - 17,646 Sq. Ft. There are plenty of activities available in Valencia Shores. Here is a sample of some of the clubs, activities and classes offered here. The Signature Series offers seven spacious floor plans that range from 1,682 to 2,385 square feet. These single-family homes have two to three bedrooms, two to two-and-a-half bathrooms, and an attached two-car garage. The single-family homes within the Crown Series consists of five floor plans that range from 2,480 to 3,466. These larger homes have two to four bedrooms, two-and-a-half to four-and-a-half bathrooms, and a two to three-car garage. Living here 3 years. This is by far the best value in 55+ communities in Palm Beach County. Unbelievable facilities (more than any other Valencia community) and beautiful homes. This was GL Homes pet project and it shows. Wider streets, bigger homes, lush landscaping and separate athletic facilities. Compared to what they are asking in the new Valencia's this is a bargain. 1143 homes and only 7 on the market. They go fast here. Greatest over 55 development, ever!! If you cannot find something wonderful to do here, then you aren't looking at all. Valencia Shores offers everything imaginable. . . swimming pools, sauna, racketball, tennis Pros available, unbelievable athletic center with personal trainers miles of walking trails, playgrounds for your grandchildren or visitors, full stage with great shows offering off broadway types of entertainment, beauty salon, nail salon, cafe with great food, card rooms, pool tables, arts and crafts rooms. This is just to name a few. Many many clubs to join, so you can have as many friends as you want and then some with over 1100 homes in the community. The most beautifully maintained community was built by GL Homes!! One never has to maintain anything but the inside of your home here! The HOA takes care of all outside maintenance, even painting the outside of your home and all yard work. People here are extremely friendly and you will make lifetime friends. I would not want to live anywhere else in Palm Beach County Florida! A great place to live and play! Pat and Patrick, residents for more than two years. My husband and I have lived at Valencia Shores for nearly two years now and really enjoy the community. One thing that attracted us here is the fact that all the homes here are larger, single family homes. There are not any townhomes or condos here so you'll find more residents are here year-round. We thought that was a big plus for future resale value. We love spending time at the two clubhouses. We both are very involved in the clubs and have busy social schedules! 55places.com is not affiliated with the developer(s) or homeowners association of Valencia Shores. The information you submit is distributed to a 55places.com Partner Agent, who is a licensed real estate agent. The information regarding Valencia Shores has not been verified or approved by the developer or homeowners association. Please verify all information prior to purchasing. 55places.com is not responsible for any errors regarding the information displayed on this website.